We offer optimum quality imported Stock lot of coated and uncoated paper rolls Bleached Kraft Paper to our valuable customers. 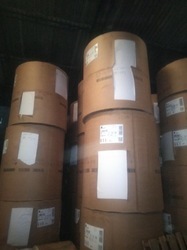 These Stock lot of uncoated paper rolls in MS & GSM papers offered by us are widely used to make wax match sticks. Owing to our rich vendor base and well-equipped warehousing unit, we have been able to offer these Stock lot of coated and uncoated paper rolls in MS & GSM in bulk quantities. We are counted among the well-reputed firm for providing Imported Stocklot Paper Roll bleached kraft paper to our esteemed patrons.